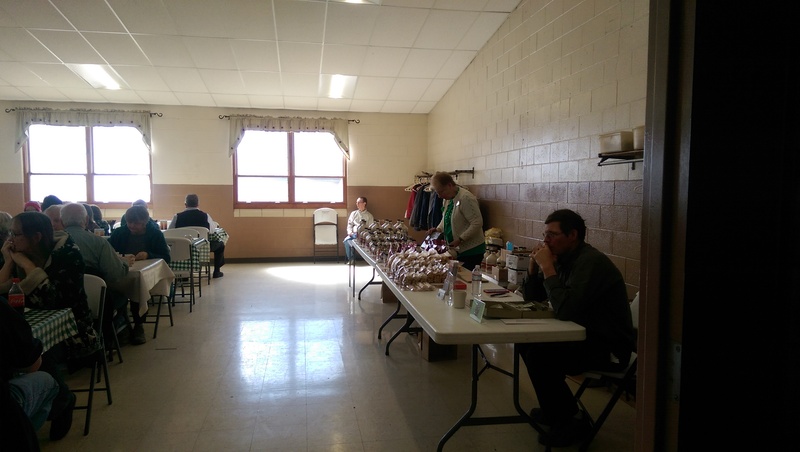 Goodell Family Farm hosts pancake breakfasts on three Sundays in March in the Shalersville Town Hall in Ravenna. It is located at the intersection of OH-44 and Route 303. The pancake breakfast features all you can eat pancakes (regular and buckwheat), sausage and their own pure maple syrup. You also get a small glass of orange juice and all the coffee you can drink. And don’t forget to enjoy a soft serve maple ice cream cone when you are finished. Adults pay $8.00, children (ages 4-12) are $4.00, and children 3 years of age and under are free. 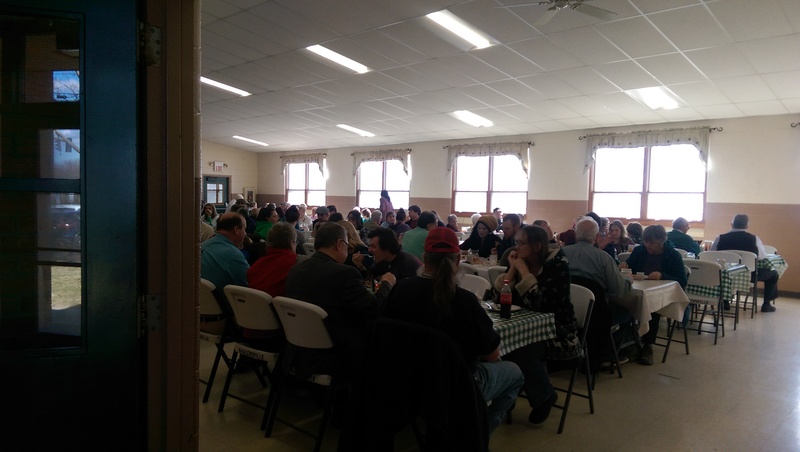 The pancake breakfasts this year were March 3rd, 10th, and 17th from 8:30 am to 2:00 pm. I met a girlfriend, and we spent an hour and a half enjoying pancakes and sausage and catching up. This place is a well-oiled machine. The room is not that large, but the line is not long (at least it wasn’t when we were there). You pay when you walk in and walk past a table full of Goodell Family Farm products. The gentleman at the end then finds a seat for you and your party. We were seated with another older married couple, which was a little awkward. I had already blown past them getting off the turnpike, so I wasn’t too thrilled to be seated with them. Then to add to the awkward they sat next to each other, so we then also had to sit next to each other. As their penance they had to hear my girlfriend and I talk about our lives and high five each other several times. I opted for a combo stack of pancakes – a mix of two regular pancakes and one buckwheat pancake – and it came with three sausage links. The pancakes and sausage were delicious. I liked the regular pancakes a bit more, but the buckwheat ones were definitely great. There are people walking around the room refilling coffee cups and doling out more pancakes and sausage. I had one more of each. There are big pitchers of maple syrup and sticks of butter on the table to help yourself. I purchased a quart of maple syrup for $17 as I left. It’s already opened and now in my fridge. Next year’s pancake breakfasts will be March 8th, 15th, and 22nd, so mark your calendars. It’s worth the drive.